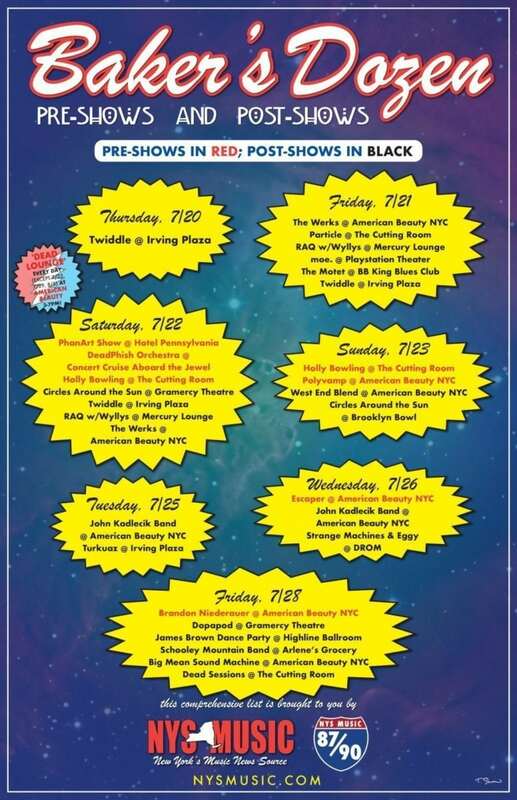 Phish’s Baker’s Dozen of shows at Madison Square Garden starts in just two weeks, and with 13 shows spread out over 17 days, the marathon of music won’t be relegated only to the ‘World’s Most Famous Arena.’ Pre and post show events can be found on virtually every day surrounding the Baker’s Dozen. 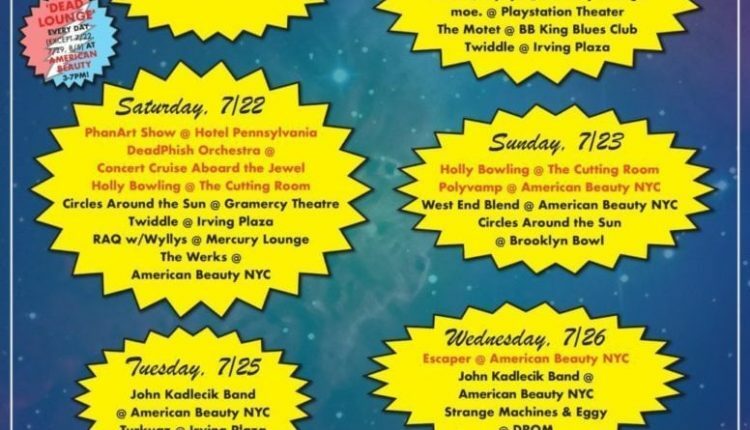 For phans looking for a complete list of what New York City holds for Phish fans both before and after each night of Phish, NYS Music presents our handy Baker’s Dozen guide. Save the images, share with friends and rest up – this will be a musical endurance test like no other!